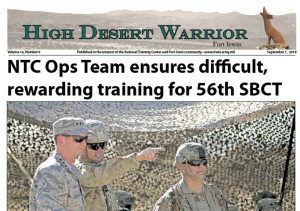 Welcome to the High Desert Warrior Digital Edition! 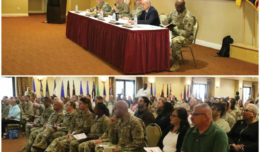 If you’re looking for news and information on happenings at Ft. Irwin National Training Center, you’ve come to the right place. 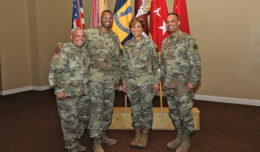 This month’s digital edition of High Desert Warrior, the official publication serving the Ft. Irwin community, is available by clicking on the link below. 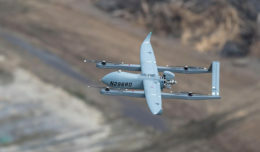 We have a full issue of news and community information for you this month, with something for everyone. If you’re new to Ft. Irwin and looking for ways to get plugged into the community, we have Army Life and Community features (“Super Sign Up”, page 4; “Deploy Your Dress”, page 5) and info on classes at Barstow Community College. 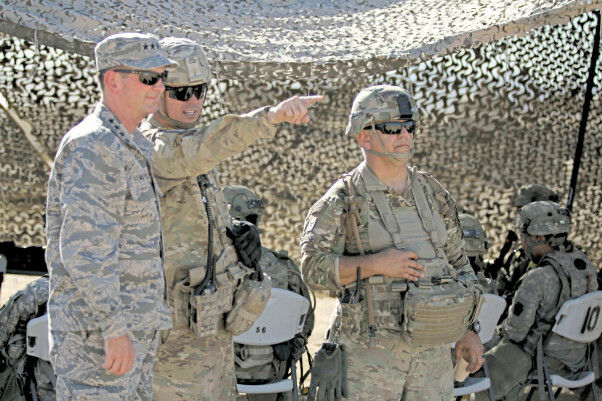 For service members, we have Army news (“Army researchers hope to lighten Soldiers’ battery load”, page 7; “South Dakota National Guard Soldiers strengthen warfighter skills”, page 12).